One of the things that can quickly derail your ability to pay for college is bad credit. Having bad credit can happen to anyone. Bad credit can happen if you’re repeatedly late paying your bills, or you just can’t pay your bills at all. Just because you have bad credit doesn’t mean you can’t continue your education or get a loan to pay for it. You just have to find the right student loans for bad credit. Yes, you can, but it will cost you. While an applicant can get a private student loan with bad credit, terms and interest rates are much different than student loans that you could apply for that are government funded. Private student loan rates will be significantly high and will greatly increase the amount of the loan. The repayment agreement that will be included at the signing of the loan could be very different as well. The repayment terms may require the applicant to repay the loan while they’re in school at a low rate, but once they’ve completed the program, instead of having a standard six-month grace period, they’ll be expected to begin paying their loan back right away at a much higher rate. It’s important to remember that private student loans may be easy to get with bad credit but much more expensive to repay. 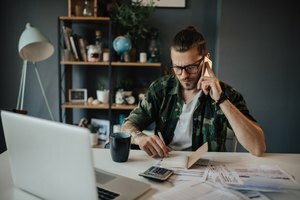 Can I Get a Student Loan With Poor Credit? Yes, you can get a student loan with poor credit. Poor credit can happen when an applicant just doesn’t have enough credit and has a low credit score. Banks and lenders may still consider them a risk because of their poor credit, but they will still make sure there are loans they can offer. When an applicant is ready to apply for a student loan, it’s still important to apply through the FAFSA, Free Application for Federal Student Aid, process to see what you qualify for first. You may be pleasantly surprised as to what you qualify for and the amount that is available to you. It’s important to remember that the loan terms and payments will greatly differ from a private student loan. Is It Better to Pay Off Subsidized and Unsubsidized Loans? Is it better to pay off subsidized and unsubsidized loans? To be honest, it’s important to pay off any student loan you receive. The longer a loan goes unpaid, the worse it is. The period you have to repay your loan also gets longer. What’s worse, is that your loan can also can continue to gain interest along with the principal amount of the payment. Fortunately, a subsidized loan, which is a government-funded loan, has better terms for repayment. You will not need to pay the interest on the subsidized loan while you’re in school for the majority of the time because the U.S. Department of Education will pay it. The U.S. Department of Education will also pay the interest during the grace period of the subsidized loan, which happens after graduation. The grace period lasts six months. The important thing to know is there are a lot of opportunities before your loan payments begin that allow you to plan properly and easily pay off the subsidized loan if you’re able. The terms of an unsubsidized loan are much stricter and even more costly. As soon as the loan is granted, it begins accruing interest and there is no period of time during the loan where interest can be deferred for later. It’s also important to know that if you’re unable to pay your loan payments at any time, the interest will continue to accrue, and the interest will be added to the balance of your loan. Again, this makes the unsubsidized loan even more expensive. If the opportunity arises to pay off a subsidized and unsubsidized loan, try to do so as quickly as possible. If you have bad credit, don’t worry as there is still funding available for a college education. Always research grants and scholarships first as guidelines and funding priorities are always changing, and you may receive financial assistance from somewhere you never expected. The best parts of grants and scholarships are that you don’t have the burden of paying them back. Sometimes finding a cosigner can be very difficult. Mostly because other people, regardless of the applicant’s relationship to them, think being a cosigner is a huge responsibility. Not only does the cosigner have to share income information but also take on the burden of the debt. Which means if they wanted to apply for a loan for themselves, maybe for a house, a car or furniture, they might not be able to because the loan it is now counted against them as their own debt. The cosigner also takes on a responsibility because if the loan is not paid back by the person who needed it, they then become responsible. To apply for student loans with bad credit with no cosigner, it’s best to apply for federal student loans first. Federal student loans don’t rely on the applicant’s income in order to award a loan. Plus, their terms are a lot more reasonable as federal student loans can offer lower interest rates, affordable repayment plans and most importantly loan forgiveness plans. Unfortunately, student loans for bad credit with no cosigner are a lot more difficult to obtain. Mainly because if the applicant has bad credit and no cosigner, the lender feels as though the applicant is too big of a risk. Plainly speaking, the lender doesn’t have the confidence that they will ever be paid back. While the chances of receiving a student loan for bad credit with no cosigner are quite low, it doesn’t mean it can’t happen. If it does, the applicant will need to be very mindful of the terms and conditions of the loan and the repayment schedule. The applicant will also need to keep in mind the loan might come with an extremely high interest rate. Unfortunately, applicants looking for student loans for bad credit or no credit will have a hard time applying and receiving private student loans. Banks worry that applicants with bad credit are a risk. An applicant hoping to receive student loans with no credit will also face a similar situation, as banks will still consider you a risk because they’re not sure of your ability to repay your debt. 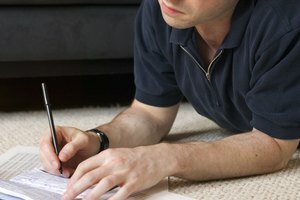 In a situation like this, it’s best to apply for government student loans as their terms for lending are much different. And most importantly, they do not review your credit history to decide as to whether you should qualify for a student loan, which should allow you to receive student loans easier. If an applicant is hoping that her parents will help with paying for college education with student loans, and they have bad credit, it doesn’t mean that they still can’t help. Student loans for bad credit parents are still possible through private lenders. Unfortunately, the interest on the loans won’t be as cheap as they would be for someone with much better credit. The interest rates on a student loan through a private lender for someone with bad credit will be high, which will increase the final balance of the loan. The best solution to avoid higher interest rates and difficult loan terms would be for the applicant to suggest their parents support their college dreams in another way. The applicants would benefit from applying for federal student loans through the U.S. Department of Education first to help fund their school dreams. And of course, along with requesting federal student loan assistance, it never hurts to research different grant and scholarship opportunities that the applicant could be eligible to receive. There are grants and scholarships for nearly every demographic, talent and ability. Research as early as possible, so the applicant is able to apply for grants or scholarships she is eligible for. The good news is that grants and scholarships don’t need to be repaid like a loan would need to be in the future. Of course, if applicants still find that they’re in need of additional funding, and they have good credit, then they should also apply for private student loans. When applying, it’s best to check out different lenders because each lender has their own set of terms, and one might offer better terms than another. What Is an Unsubsidized Federal Stafford Loan? A William D. Ford Federal Direct Loan is better known as a Federal Stafford Loan. This loan is the most well-known because it is typically the one that applicants receive in need of financial support for their undergraduate and graduate college or trade education. This is a government-backed loan and offers the best terms for a borrower. They include lower interest rates than a private student loan, a six-month grace period once an applicant graduates, and the applicant doesn’t have to worry about paying the interest that accrued until the program is complete. The unsubsidized federal Stafford Loan also differs because a student doesn’t have to demonstrate a financial need to FAFSA. They can simply apply for what they need. 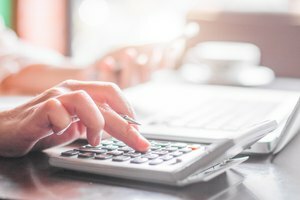 What Is the Maximum Stafford Loan Amount? 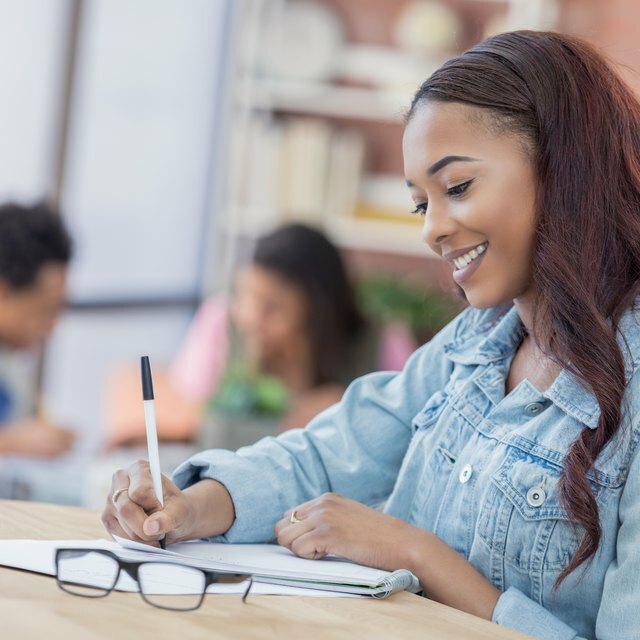 The annual maximum Stafford Loan amount varies depending upon what year an applicant is in their studies, if the Stafford loan is subsidized or unsubsidized and if the applicant is still depending on their parents for financial support. Again, depending on where an applicant is in their studies will greatly vary the amount they will receive each year. The maximum could be $2,625 up to $57,500. There are good news for any student looking to apply for funding for their higher education degree or trade school certification. There is no need to defer a dream due to lack of funding. There are plenty of options for student loans for bad credit. While some students fear they may need to rely on a cosigner, such as a family member or partner, if they have bad credit, it’s not always necessary. The most important thing an applicant can do when searching for funding is to look at all of their options. It’s best to apply for federal student aid first to see what you can get because it’s available to every applicant and doesn’t require any credit. Of course, it’s important to remember that a federal student loan might not provide you with all of the money you need. If an applicant still needs funding, then private loans are the next best option. While they can be costly in the short- and long-term, and their terms can differ, they can still bridge the financial gap. StudentAid: Federal student loans for college or career school are an investment in your future. Gordon, JP. "What Are Student Loans For Bad Credit?" 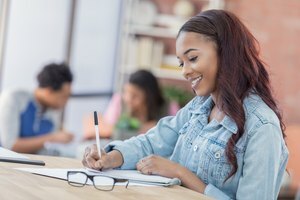 Synonym, https://classroom.synonym.com/what-are-student-loans-for-bad-credit-13714938.html. 26 September 2018.